HoloLens has been available for a year now, and to celebrate the AR headset's first birthday Microsoft is anxious to double down. The company today revealed how the ecosystem has taken shape so far and hinted at what's in store for this year. There are now 150 exclusive apps for the headset, Microsoft revealed in a blog post. We've known about Micorosft-created apps like Skype and games like Minecraft, but now the community has used HoloLens and the Mixed Reality platform to do some interesting things. There's HoloGuide, which helps you navigate through low-visibility areas, perfect for when you burn your dinner and your home is filled with smoke. There's also HoloHear, which instantly translates speech into sign language for deaf people. And if you've ever wanted to learn piano, there's Teomirn, which overlays prompts and instructions on a real piano, guiding you on your way to become the next Beethoven. As for what's next, Microsoft said you can expect to hear about the future of HoloLens and how it will coexist and collaborate with the company's cheaper, more consumer-focused Mixed Reality headsets. Microsoft said it'll have more to share at this year's Build conference in May. But that's not all. Microsoft has also hired Liz Hamren, former chief marketing officer at Oculus, to head up HoloLens and Mixed Reality marketing, reports The Verge. She'll report directly to Microsoft's head of Windows and devices, Yusuf Mehdi, and form a mixed reality marketing team. 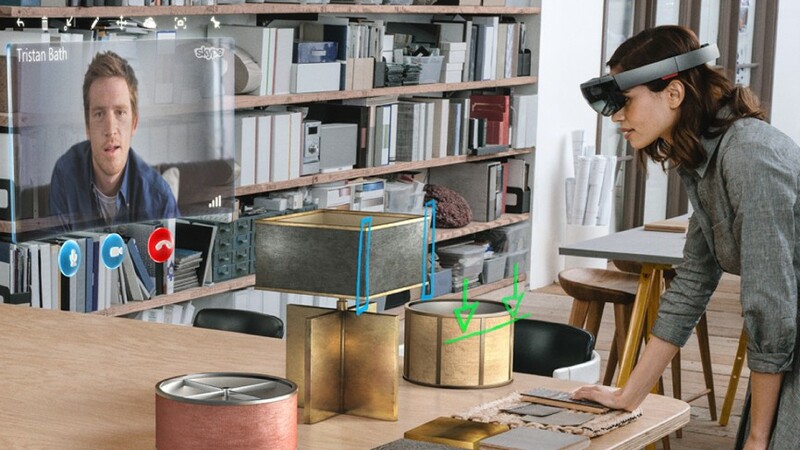 Microsoft had previously tucked its mixed reality marketing efforts under the Surface banner, so this means that Microsoft sees mixed reality as a major part of its business starting this year. In a memo to staff, Mehdi said the company is accelerating its mixed reality initiative and wants to get rolling with major marketing efforts this holiday. We already know Acer's development kit started rolling out this month, and that Microsoft has a bunch of manufacturers on board getting ready to go. We hadn't exactly known when these Mixed Reality headsets would be ready to buy, but now there's increased evidence that it'll be this year.